Until the Relay For Life 2019! Completely free registration for the 2019 Relay For Life Gwynedd and Anglesey! Click Here to Register! 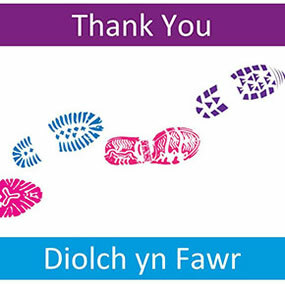 Gwynedd and Anglesey Relay For Life has been arranged by a dedicated committee of individuals that are very aware of how important Cancer Research UK's work is. The 2019 event begins at 12pm 22nd June, and finishes at 12pm 23rd June. You can also donate straight from your mobile phone! Our code is "GMON99". All you have to do to donate is text this code followed by the amount (£1, £2, £3, £4, £5 or £10) to 70070 and the donation goes straight to our page! For example, if you text "GMON99 £5" to 70070, that's a £5 donation straight to our Relay For Life! All text donations are free to send, and won't come out of any inclusive texts you have as part of your price plan. You only pay the donation. 06.02.19 New Teams On Board! � 2018 Copyright Relay For Life Gwynedd and Anglesey.